shrubs of the family Magnoliaceae (tulip tree). Origin: endemic species of Europe, dispelled by glaciations. Magnolias were reintroduced from North America, China and Japan. Most varieties which delight our gardens are hybrids. Lifespan: the oldest have a hundred of years. 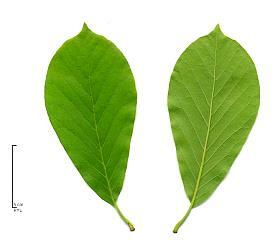 Leaves: fine, light green, spatulate (broader in 2/3), acuminate (acute apex). Length: 10-15 cm. Flowers: white, yellow, pink to purple, lengthened tepals, which open when the flower gets old. Their blossoming is very nice (big clear petals), although primitive (it contains many stamens and many free carpels). hybrid created in 1820 by the French plantsman Soulange-Bodin (1774–1846), a retired cavalry officer in Napoleon's army, in Fromont, near Paris. Light grey to dark grey smooth bark. Deciduous foliage : Simple, leaves, elliptical to obovate, spatulate (15-20 cm long) and acuminate. Smooth top, of dark green colour; on the underside paler and finely hairy. Flower early, the earliest in european climate (in March). The cup-and-saucer shape gives the name of Saucer Magnolia.